Ed Stilley at his home in Hogscald Holler, 1997. Flip Putthoff, photographer. Courtesy Kelly Mullhollan. 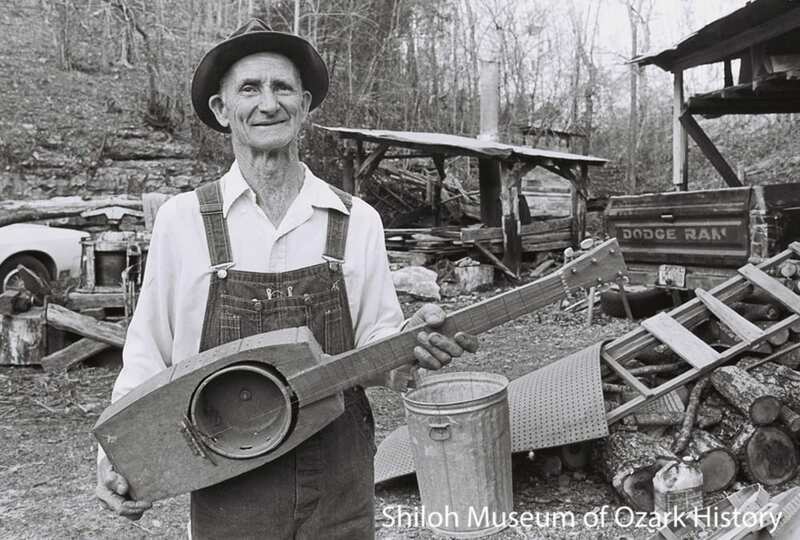 In 1979 Stilley received a directive from God to build musical instruments and give them away to children. For the next twenty-five years, without any musical training, he made over 200 instruments. Each of the instruments was built with odds and ends from around his home near Hogscald, where he lived with his wife, Eliza, and their five children. Ed Stilley stopped making instruments in 2004, only because his hands could no longer do the work required to construct an instrument. Instruments of Faith features more than twenty handmade Stilley instruments, all on loan to the museum from private collectors. Join us for our Instruments of Faith exhibit celebration, Saturday, March 30!